Corneal crosslinking is a procedure used to treat patients suffering from keratoconus, a disorder of the eye in which the cornea thins, weakens, and becomes distorted and cone-shaped. The distortion of the cornea due to keratoconus causes astigmatism, leading to decreased visual acuity in sufferers. The cornea is composed of collagen, which maintains the cornea’s shape and strength. Collagen fibers have crosslinks, which work like support beams, holding the collagen fibers together. In keratoconus, too few of these crosslinks exist, leading to the weakening of the cornea. Corneal crosslinking is a procedure which increases the amount of crosslinking or binding fibers within the cornea’s collagen, strengthening the cornea and helping it to better retain its shape. Two types of corneal crosslinking exist: traditional corneal crosslinking and transepithelial CXL technique. In a traditional procedure, the epithelial, a thin piece protective tissue covering the cornea, is removed prior to the procedure. In a transepithelial CXL, the epithelial is left intact. 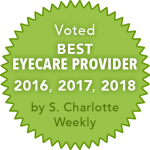 An eye care professional can help you determine which procedure is right for you. During the procedure, the patient lies on his or her back, and is administered anesthetic eye drops and an oral sedative. In a traditional CXL procedure, the epithelial is then removed. Eye drops containing the vitamin riboflavin are then administered while the patient looks into a blue ultraviolet light. The procedure lasts from 60 to 90 minutes. How does corneal crosslinking improve vision? By increasing the amount of crosslinks within the cornea’s collagen fibers, corneal crosslinking strengthens the cornea and allows it to maintain its shape, correcting astigmatism and improving visual acuity. When is corneal crosslinking required? Corneal crosslinking is never required, but is an effective treatment alternative to corneal transplant surgery, uncomfortable contact lenses, and LASIK surgery for patients suffering from keratoconus. The procedure, however, is not right for everyone. 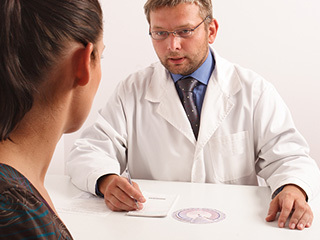 To qualify for the procedure, the patient’s cornea cannot be too thin or scarred. An eye care professional can measure the thickness of the cornea, and help a patient decide whether corneal crosslinking is the right treatment option.